OK first of all, I liked Shawn Mendes quite a bit when this album came out. He seemed like a nice kid with a good voice and a penchant for sappy love songs. As time has progressed and as he keeps pumping out hits, I've grown to detest most of his stuff but this one is still a decent listen to me, thanks to the generally under-produced, innocent sound. 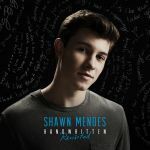 Stitches is still a fun listen even though I probably did it to death in 2015, and the other songs that I liked as singles (Life Of The Party, A Little Too Much) are still enjoyable thanks to limited exposure. But the rest of the album kind of melds into one, with similar themes and styles throughout. I really like Never Alone as well, which would have been good as a single (although it probably would have done nothing much anyway). 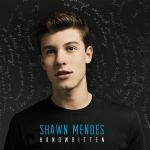 On another note, Shawn Mendes has a surprisingly full voice, with a wide vocal range and limited 'nasal' aspects. I say it's a surprise because he tends to whine in some of his more recent stuff, but perhaps due to the acoustic nature of several of the songs here, and probably the lack of big beats, you really here how full and strong his voice actually is. This is a pleasant listen, probably more Sunday afternoon pleasant than Friday night pleasant, but I did enjoy it. 4.2/6.